Here at Russell Cycle Products, we enjoy seeing pictures of our customers motorcycles in exotic and beautiful locations. If you have any you would like to send us and have posted on our website, we would love to see them! Send them to Info@day-long.com with a short blurb about where you were. 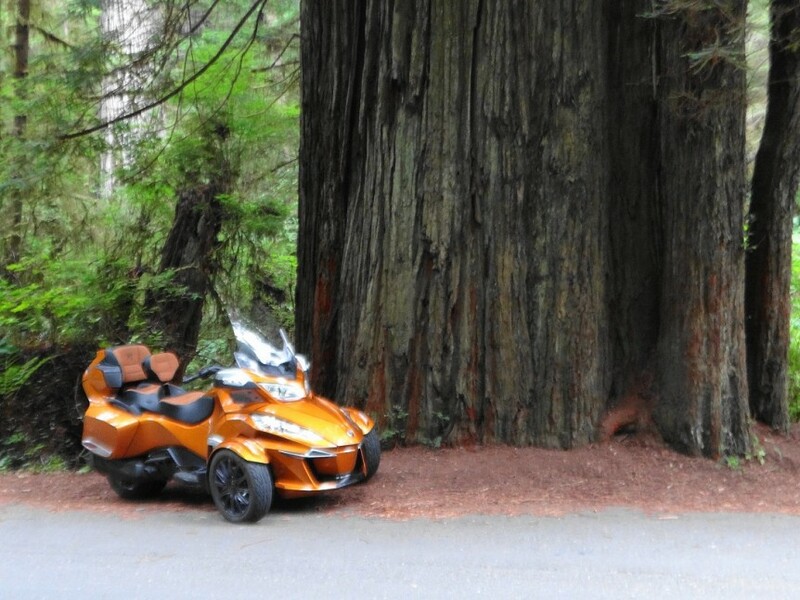 An example here is of Terry’s new Can Am Spyder RTS, sitting next to a Redwood tree. Its amazing that a bike this size can look like a toy sitting next to one of these ancient wonders.